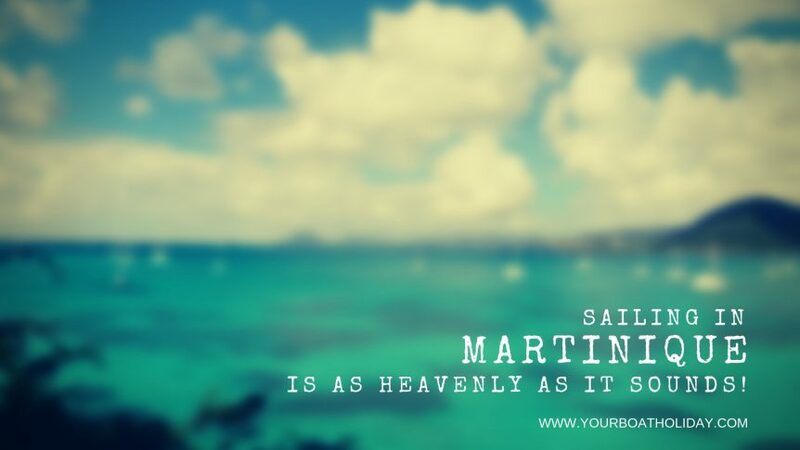 News & Trends Sailing in Martinique is as Heavenly as It Sounds! Known as the “Flower of the Caribbean”, Martinique hosts extensive fields and plantations of papaya, mango, guava, pineapple, cinnamon and coffee. The island brings a distinct French reflection in style and cuisine, while the culture is truly West Indian. Sailing in Martinique is, thus, going to be a memory of a lifetime. Le Marin is the southern town of Martinique where you start living your cruising dream if you opt for boat rental in Martinique. It is the nautical town of this island where you can witness majestic yachts anchored. While you are here to board your vessel, don’t forget to visit Eglise du Marin, a church dating back to 1766. It is worth seeing for the intricate figurettes and a marble altar erected inside. It also has one of the biggest marinas in the Caribbean. Spend your evening here while walking on the pristine white beach. It is a treat for coastal landscape lovers. Whale Cove, a beach of the white Cape Macre, is only accessible by foot. This land of approximately 9000 inhabitants still seems untouched of its natural beauty. The French authority has worked hard to maintain its charm as a high-valued tourist attraction. With a population of around 85.5 thousand people, Fort-de-France is a haven of picturesque beauty. People here survive and thrive through tourism and fishing. It is also famous for rum, cocoa and sugarcane export. Some famous attractions to witness here include Statue of Empress Josephine, Bibliotheque Schoelcher, Fort St-Louis and Palais de justice. Moving towards the north of Martinique, if you sail near the coast, you will see a vast stretch of black land. Yes, these are the unique black sandy beaches we first mentioned. It is because Saint Pierre was subjected to a huge volcanic eruption of Mount Pelee in the year 1902. It had completely destroyed this former capital of Martinique. Nevertheless, the city was rebuilt from scratch, while leaving the scars as black sands. Today, these sprawling black beaches accompanied by lush rainforests are the biggest attractions of this French island. Before getting down in Saint Pierre, go and visit Ile aux Marins (Sailor’s Island), a 15 minutes ride from Saint Pierre. This little island has been preserving its 19th and 20th-century fishermen’s culture with its busy French fishing industry. When you are down on the mainland sailing in Martinique, walk barefoot on the black sand feel its smoothness under-feet and breathe in the refreshing air. The calmness here is meditative. On the southern tip of Martinique is Anse Trabaud, with Saint-Anne being its nearest town. It lies 20 nautical miles away from Fonds Blancs. The last in your sailing itinerary, it has a fairly popular and thriving beach life. Its calmness distinguishes it in comparison to the hustle and bustle of other beaches in Martinique. It will prove to be a lovely wrap-up for your sailing in Martinique. As your vacation mood kicks in, you know where to go this year, don’t you? Go for boat rental in Martinique and explore this lucid land of stunning landscapes.